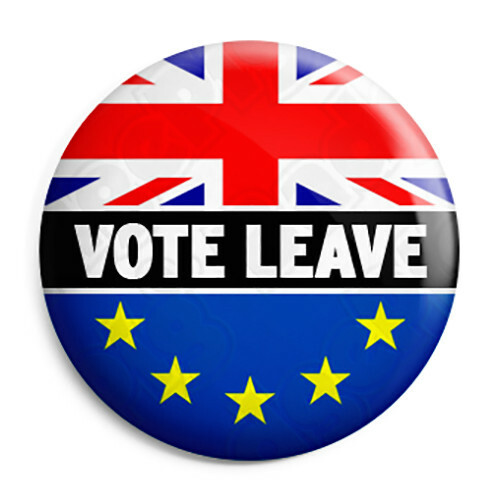 This month I am going to write about the potential effects of this week’s Brexit vote the Thrift Savings Plan. 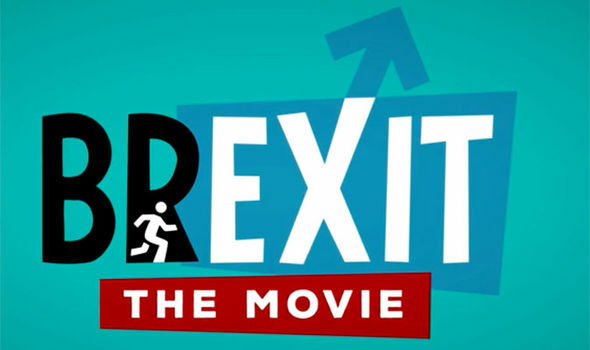 Brexit (British Exit) is a referendum on Thursday in which Britain will vote on whether or not to leave the European Union. In other news, the web hosting problems seem to be behind us at this point. The site is much faster and has not been going down since I moved it to the new server. If you have any problems accessing the page, please do let me know. Bottom line up front: I do not plan to change my TSP allocation this month, although there is the potential for a fair bit of volatility as I will discuss below. And the TSP LifeCycle Funds are very average for 2016 so far (just as they are engineered to be), ranging from 0.60% to 1.08%. 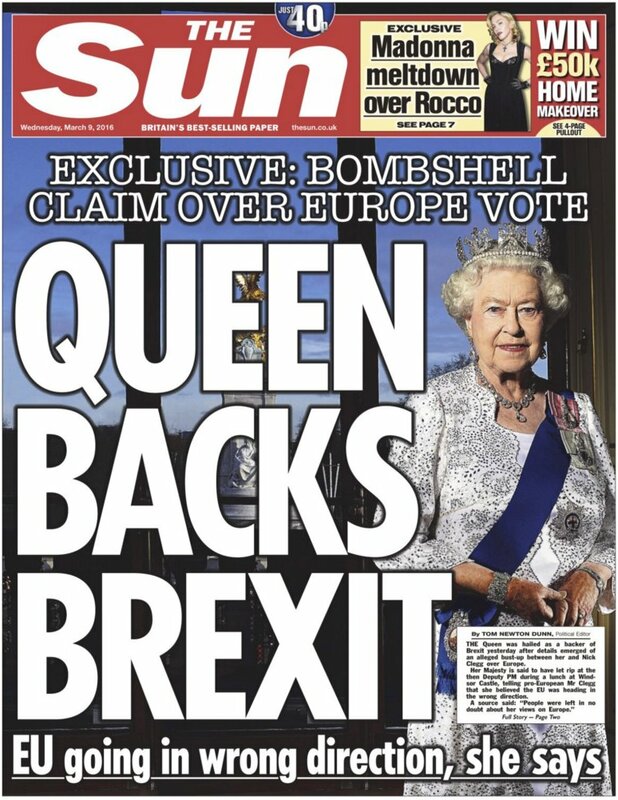 The financial media will be having a field day this week over the vote on June 23rd which will determine whether or not Britain leaves the EU. They will very cheerfully announce that the global economy will almost certainly fall into a deep recession from which it might never recover if Britain leaves. And they will be so cheerful, because drama draws viewers/readers/clicks, and those generate advertising revenue. What is happening in London right now is the result of an effort which started in the 1970s to unify Western Europe into a common market and trading block. That part worked really, really well – the EU is the largest economy in the world, the world’s largest trading block, ranks first in both inbound and outbound international investments, and is the top trading partner for 80 countries (by way of comparison, the US is the top trading partner for 22 countries). As one of the wealthiest countries in the EU, England benefits tremendously from free trade within the EU as well as the trade agreements between the EU and the rest of the world. So why on earth would the Brits want to leave? The problem is the Europeans just couldn’t limit themselves to creating a common market and monetary union, instead they tried to create a quasi-super nation with it’s own foreign relations, a legislature which can issue regulations which override conflicting laws in the member countries and three separate court systems which weigh in on sensitive issues such as criminal justice, human rights and immigration. It has evolved into a entity somewhere between a confederation and a federation. The EU has also grown. From six founding states (all of whom were the sort of European countries who the average Brit felt they could relate to), to 28 (including many nations so far flung that many Brits couldn’t find them on a map, and with whom they feel no common bond). An unhappy confluence of politics and current events has led to the referendum. While the leadership of both main political parties support staying in the EU, a significant number of Conservatives support leaving. The British version of the Republican Tea Party wing has been leading the charge, with appeals to anti-immigrant and “Britain first” sentiment among the elderly and working class. A key component of EU membership is a requirement that countries allow free movement of EU citizens between member states. The working class has railed against this provision since the EU was created, convinced that waves of Eastern Europeans were coming to take their jobs. (And they aren’t all wrong, the vast majority of hourly wage workers who I meet when I am in the UK are from other parts of Europe). But more recently, the fear is that the huge numbers of refugees and migrants from the Middle East and Africa who have been pouring into continental Europe will soon have their EU passports and will be free to relocate to London. Nobody took any of this very seriously until recently because “remain” was leading comfortably in the polls and the political leadership couldn’t believe that something this monumental could happen without their support. But over the past month the polls drew even and “leave” took the lead for a period. The latest polls from this weekend have “remain” ahead by a percentage point or two, but it really is much too close to call. So what happens to the TSP funds if Britain leaves the EU, and what happens if it stays? Short term, I frankly believe we will see a relief rally in the stock market either way. The market hates uncertainty, and it has shown time and again that it just wants a decision on big issues. Then, whatever that decision is, the market pretty quickly gets on with worrying about whatever the next big thing is. It is possible we will see a short term drop if they vote to leave, and that would not cause me great angst – I would use it as a buying opportunity. Longer term, the financial media would have you believe that if Britain votes to leave (1) a financial panic will ensue, (2) the British economy will immediately fall into recession and take Europe and the rest of the world with it, and (3) other shaky members of the EU will bail, leaving a few socialists and cheese eaters governing themselves into the ground from Brussels. What would really happen is an era of uncertainty. Even if Britain decides to completely leave the EU, that would take place over a period of years and after long negotiations. That total break is unlikely, however. Key members of parliament have already indicated that if the “leave” vote wins, they will push to have Britain remain within the single market. And that would be politically popular – the voters who want to leave don’t care about trade agreements, they just want Britain’s sovereignty affirmed (and for people who don’t look like them to go home). And that resolution is not without precedent – countries like Norway, Iceland and Lichtenstein have exactly that sort of relationship, are exempt from many EU regulations, and don’t have to cooperate on justice or foreign affairs issues. So all that said, if Britain votes to leave I believe we will see some minor panic, the British pound will devalue and capital will flee to the safety of US treasuries, driving down interest rates and strengthening the dollar. If that lasts for a long time, that’s bad for US exports as it makes our products and service more expensive everywhere else. That would have a negative impact on the TSP’s domestic stock funds (the C Fund and S Fund). But I don’t think the panic would have legs – if the vote goes that way the financial system will adjust relatively quickly to a new normal. The TSP I Fund would likely take a fairly solid hit as a result of a Brexit vote, as UK stocks makes up 20% of its holdings. Any number I throw out here is just a guess, but I wouldn’t be surprised to see a short term decline of at least 10%. But if I were betting, I would put money on Britain voting to remain within the EU. Change is scary and I think voters will decide it is too scary right now. That doesn’t mean the global economy will suddenly take off and take the markets with it, but more likely that we will continue petering along in our slow growth recovery. I am maintaining my 15% allocation to the TSP I Fund. I believe the odds are that it will outperform over the mid-term, and it is a small enough amount that if things turn out worse than my forecast, it won’t be a huge blow. Employment numbers: The unemployment rate declined by 0.3 percentage point to 4.7 percent in May, and nonfarm payroll employment changed little (+38,000). I obtain this data from the Bureau of Labor Statistics. The number of jobs created was significantly lower than forecasts called for. That isn’t great news, but I don’t attribute much importance to a number like this in any single month. If we see continued weakening over the next few months, that will be something for me to pay attention to. 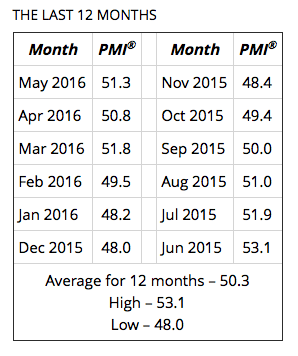 Manufacturing expanded in May as the PMI registered 51.3 percent, an increase of 0.5 percentage point from the April reading of 50.8 percent, indicating growth in manufacturing for the third consecutive month, following five consecutive months of contraction in manufacturing. A reading above 50 percent indicates that the manufacturing economy is generally expanding; below 50 percent indicates that it is generally contracting. A PMI above 43.2 percent, over a period of time, generally indicates an expansion of the overall economy. Therefore, the May PMI indicates growth for the 84th consecutive month in the overall economy, while indicating growth in the manufacturing sector for the third consecutive month. Using the yield curve to predict whether or not the economy will be in recession in the future, we estimate the expected chance of the economy being in a recession next May at 8.29 percent, up from April’s 7.33 percent and 7.45 percent in March. So the yield curve is optimistic about the recovery continuing, even if it is somewhat pessimistic with regard to the pace of growth over the next year. Money Supply M2 in the United States increased to 12733 USD Billion in May from 12652.20 USD Billion in April of 2016.
. It is a very entertaining read and does a great job of explaining all those things you hear about on CNBC or read about in the financial section, but nobody ever explains. I obviously don’t believe that there are 50 indicators which really matter (I tend to look at four), but I learned a ton from this book and highly recommend it. I don’t ask anything except that you share the site with your colleagues so we can continue to expand the community of feds and service members helping each other in a free, transparent, no-pressure environment (although if you want to, you can donate to support the site here). You can help by linking to this site from your own webpage or blog; liking it on Facebook; sharing on Twitter and in other investing forums; or actively participating on our Message Board. So if you found this post useful, please share it with your friends and colleagues using the email and social sharing buttons below right now. Thanks! What do you think about Age-Based In-Service withdrawals? I’m eligible soon, and have a pretty long background in managing money. The main reasons I’m seriously considering it, is the limited investment opportunities in the TSP, and that annuities are so restrictive and are permanent. Thanks for your response. That isn’t an option for me, so I’ve never given it much thought. Are you able to move it directly to another tax advantaged vehicle, or do you pay tax and then start over? That would be the sticking point for me, as my first priority is holding in tax advantaged accounts. Thanks for your reply TS Paul. The information below is from the TSP plan website. I plan to roll over to another traditional IRA, which is what the TSP really is. No taxes will be paid until I begin drawing money out, same as the TSP. All options are available on the Age-Based withdrawal from Roth conversion to being taxed on the amount you might withdraw (no early withdrawal penalty because minimal age is 59 1/2), to conversion to an annuity. 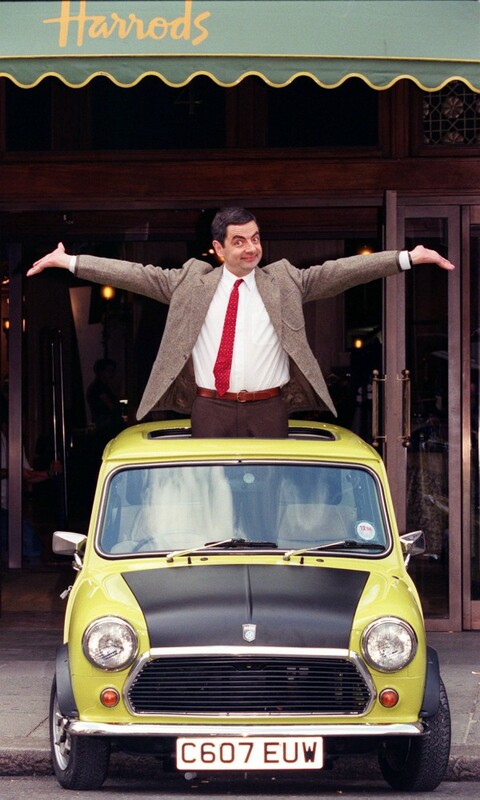 My plan is to continue managing the money myself, but with the luxury of an almost limited of investment vehicles. Also, never planned on annuitizing because of the many restrictions placed on you. I’ve noticed you’ve stayed away from the S and F funds for a few months now, even though YTD the F is doing well. Any particular reason why? The entire premise of my investing strategy is to invest based on the business cycle. Take a look at the articles in the “Getting Started” section of the home page for a good, long explanation. With respect to the F Fund in particular, that fund should do poorly when interest rates go up and the Federal Reserve has made no secret that it is trying to slowly move rates up. With the Brexit vote going the direction it did yesterday, however, interest rates won’t be going up anytime soon and F may continue to do relatively well. With the Brexit vote coming down on the side of leave; how does that effect your decision to remain at 15% in the I-fund? It makes it unlikely that I will still be in the I Fund for too much longer – not so much because I think the UK leaving in a few years by itself will be so damaging to international developed markets, but because this will create a great deal of uncertainty and raises the specter of other countries following the UK’s lead, creating additional fundamental concerns swirling around the European common market. I won’t dump the I Fund immediately after this fall – selling after a sharp drop is never a good idea unless the economy in question is concurrently going into recession. No guarantees, but from a business cycle standpoint I think the I Fund should bounce back in the short or mid-term and will recover most or all of its losses from today. But “should” and “will” are very different things, which is why I’m not jumping into a larger allocation – I’m not at all convinced it will do what it “should”. I will reevaluate my position about weekly, with a long-term bias towards selling.